Last week we hosted the 11th Annual conference of The Sport and Politics Study Group, as part of the Politic Studies Association. The conference: Sport Policy and Politics: The Inequality Gap was hosted by Manchester Metropolitan University and held at FC United on Thursday 16 and Friday 17 March 2017. The conference brought together an a breadth of sports covering grassroots to elite contexts across a number of disciplines. 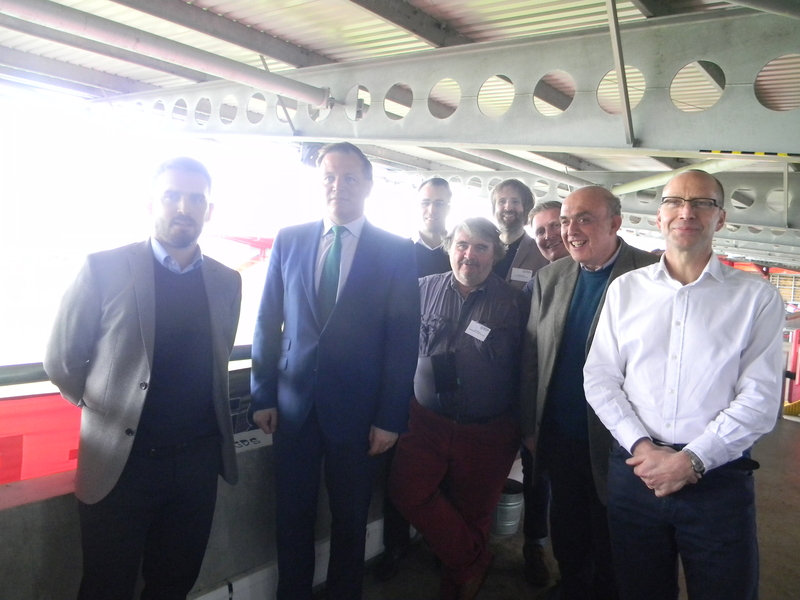 The keynote speakers, Damian Collins MP and Dr Geoff Pearson (University of Manchester) offered insight into sports governance and research into football hooliganism. We have also had some of the presentation details shared online via Connect Sport and The Football Collective. Any presenters can share their presentations or short blogs on these sites in the future too. Personally, I would like to thank keynotes for their insight, time and support; the PSA Sport Politics Sub Group for the opportunity to host the conference; Routledge for their contribution, presence and continued support for sport; Dr Peter Millward for his continued guidance and support; to Professor Julia Clarke and Professor Mark James for their support; the Lorganising Team: Catherine Elliot; Anne Thompson, Dr Annabel Kiernan, Dr Sara Ward, Dr Paul Widdop, Jon Sibley, Dr Kate Themen, Dr Chris Porter & Professor Mark James – for helping make this happen; to Gary Lindsey and Katherine Roycroft from the Business School at MMU for their sterling and collegiate efforts around the conference; FC United for their hospitality; and Catherine Elliott in particularly for being a great friend and colleague. My final thanks goes the the PSA Sport and Politics collective, the delegates, the people who make the group what it is. I hope everyone can take some time to reflect on and be pleased with their contribution. The enthusiasm and effort will be felt by all present on the days and will no-doubt prove impactful for the new, emerging and establish scholars that make up the PSA collective. My good friend, Kitrina Douglas highlighted on Saturday that if we want to live in a world where people matter, then we have to create that world ourselves. I am pleased that we, collectively, have contributed another year to the history of the PSA conference where people come first. We live in unprecedented times, super austerity, growing income and wealth inequality, Brexit, nationalist political agendas, a rise of the right and left political ideologies, and mass population diaspora have created a vacuum of moral panic and self-reflection. The global and national landscape of sport are not immune to these processes and in many ways prefigures the society it represents. Traditional powerbases in sport are shifting, the global south with economic resources and political will have a growing influence over sport regionally and internationally. In amongst all of this, the current climate of political instability, scratch the surface and sport has been at the forefront of the political discourse. Perhaps this is embodied in the decision for the United Kingdom to leave the European Union. Whilst elements of the country has cheered both the imminent BREXIT of the UK from the European Union, and the athletes leading success after millions invested in Olympic and Paralympic sport at Rio 2016. Other factions of society have expressed counter dismay at the potential negative impact of BREXIT on the economy, how the nation can accept the public funding of elite sport during the harsh reality of austerity measures including public sector funding cuts and cuts to the disability allowances of the most in need across our communities. At the same time, sport is receiving unprecedented internal investment alongside foreign investment and TV rights deals seeing many of sporting social institutions under the stewardship of foreign owners of investment. This can only widen the disparity and disconnect between elite and grassroots sports and see sport mirroring public policy, where the gap between the ‘haves’ and ‘have nots’ is widening. Yet sport, as many have argued could have the power to unite, to be a resource for hope, to be a source of refuge to the poor and even new migrants. Many in sport are waiting in anticipation for continued elite sport funding and the following investment in community and grassroots sport. Whilst others recognise this could only be start of one of the most damaging public policy eras of our time, with consequences both in the imminent and future decades – something that the power of sport simply cannot reverse. Manchester is a global city that offers a creative and vibrant environment for cultural and sporting consumption. Nationally, the discourse surrounding ‘DevoManc’ or the city’s key role in developing the Northern Powerhouse agenda – alongside Liverpool [capital of culture 2008], Hull [capital of culture 2017], Leeds, Sheffield and Newcastle – all of which make significant contributions to what many would refer to as the holy trinity of football, music and fashion. Manchester, however, punches above its weight, particularly in cultural production. The city’s sports offer range from football teams offering a local and global profile through, from Pep Guardiola and fan ownership, through to Chinese investment. With links to the Middle-East, urban regeneration and a number of innovative sport-based public sector health partnerships. Yet, Manchester is a city of great contrasts, where cultural consumption and vast inequality meet; where significant homelessness persists in parallel with the forward march of gentrification. In sport too, the new powerhouse of English football and arguably the richest club in the World resides within one of the most deprived areas of England. Manchester is a city where sport cuts across policy and politics and where change has happened and is happening. The Sport Policy and Politics: The Inequality Gap Conference 2017 intends to provide a wide-ranging and interdisciplinary examination of these issues and more. The conference aims to explore the inter-relationship between sport policy and politics by drawing on research from politics and political science and a variety of academic fields, including: sociology, social policy, philosophy, criminology, community and youth work, history, law, geography, and sport studies. Beyond this, we hope the conference is another chapter in the PSA Sport sub-group journey in developing critical debate in a supportive collegiate environment, and that the event creates new ideas, collaborations and research.